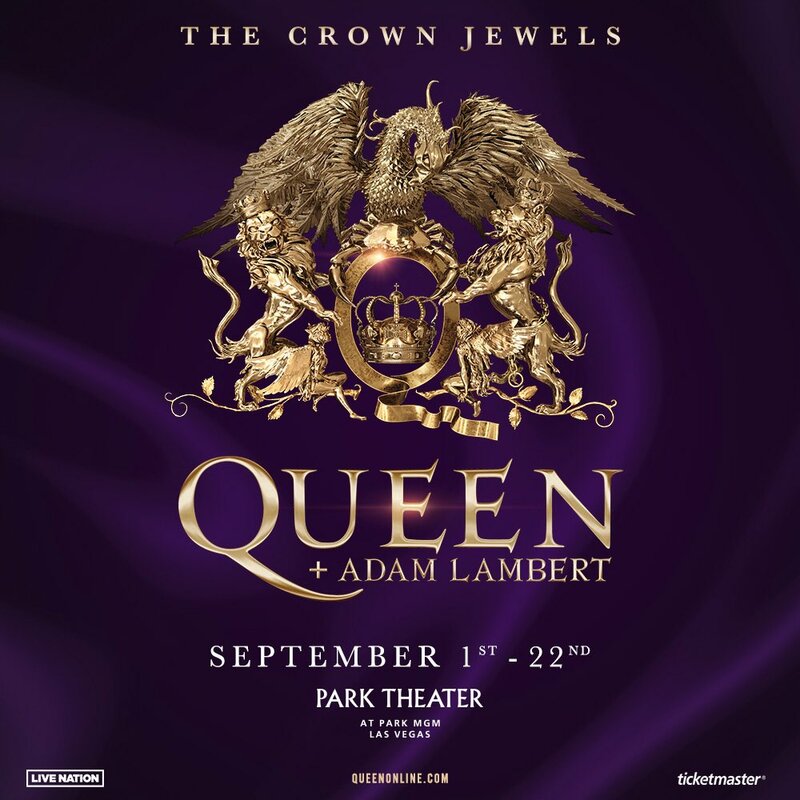 LAS VEGAS (May 7, 2018) – Queen + Adam Lambert will rock the Las Vegas Strip this fall with a 10-date limited engagement, “The Crown Jewels,” at Park Theater at Park MGM in Las Vegas. Shows will be held September 1, 2, 5, 7, 8, 14, 15, 19, 21 and 22 at 8 p.m. One of their performance dates, Saturday, Sept. 8, lands on Queen Day in Las Vegas, which former Mayor Oscar Goodman declared in 2004. Tickets ranging in price from $79 to $350, as well as a limited number of On-Stage seats, not including applicable service charges, will go on sale Friday, May 11 at 10 a.m. PT at www.ticketmaster.com/queen. A limited number of VIP packages will also be available. Members of both Queen and Adam Lambert's Fan Clubs will be able to purchase tickets before the general public beginning Tuesday, May 8 at 10 a.m. PT. M life Rewards members and Live Nation and Ticketmaster customers will receive access to a pre-sale running Wednesday, May 9 at 10 a.m. PT through Thursday, May 10 at 10 p.m. PT. To join the M life Rewards program or for more information, visit mlife.com. Queen Online.com subscribers will be sent pre-sale links and passwords. Queen + Adam Lambert have come a long way since first sharing a stage for the American Idol finale in May 2009. Since then, the critically acclaimed creative partnership has proved to be a global phenomenon, having played over 150 shows in all corners of the world. Filling stadiums and festivals, Queen + Adam Lambert’s awe-inspiring show has drawn across-the-board rave notices.